Heat the oven (with the oven racks toward the center) to 350°F. Line two rimmed sheet pans with parchment paper. 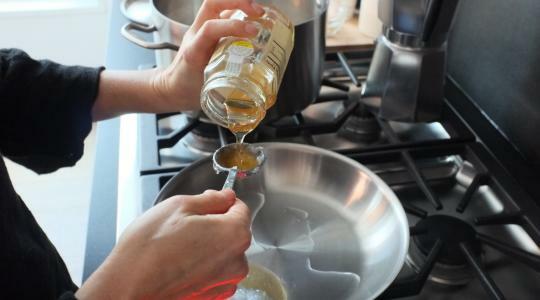 In a large pot, heat 1 tablespoon of the coconut oil over medium heat. 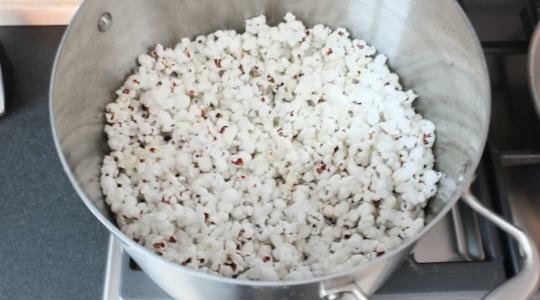 Add the popcorn, cover tightly, and wait for it to start popping. Once it does, shake the pot often until it stops popping. You should get about 12 cups of popcorn. Divide between two large bowls. 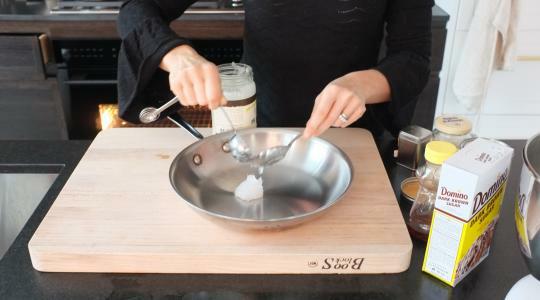 In a medium skillet, melt the remaining 3 tablespoons coconut oil over medium heat. 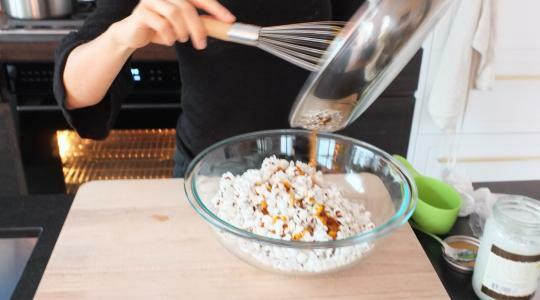 Add the honey, pumpkin, and brown sugar and whisk together. 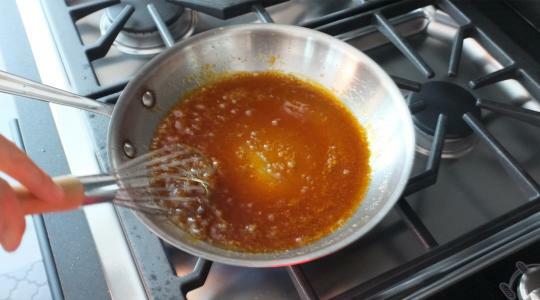 Let simmer, whisking often, until the mixture is thick like caramel, about 5 minutes. Remove from the heat and whisk in the cinnamon and nutmeg. 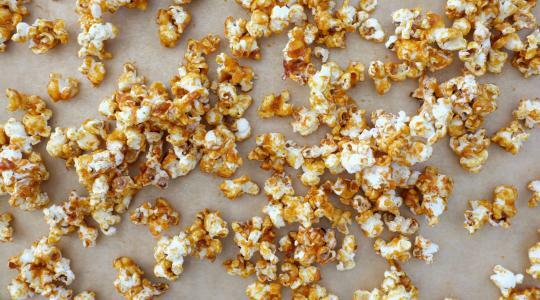 Dividing evenly, pour over each bowl of popcorn and toss to combine. 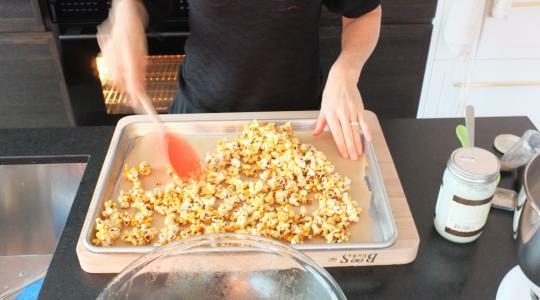 Divide the popcorn among the two prepared pans and sprinkle with salt. Bake 10 to 15 minutes, or until just set. Let cool (it will crisp up even more as it cools).